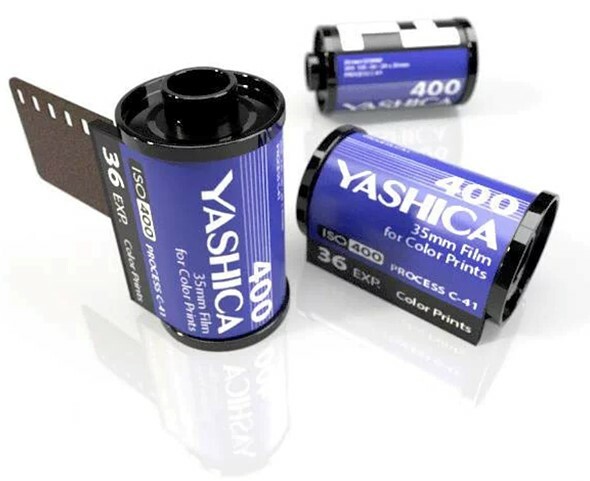 Yashica, the iconic brand purchased by Hong Kong-based MF Jebsen Group in 2008, is preparing to launch its own 35mm film product. The company began dropping teasers related to the product late last month, including an image with broken English shared on Facebook and a trio of dark Instagram images that left followers confused. Some followers suspected the image was an April Fools' prank, but the company followed it up with an image featuring Yashica film rolls on April 4. As noted in the comments on the post, the image appears to be a render based on the obvious gap located at the top of the exposed film strip. Note the visible gap between the film strip and the 35mm canister. Many photographers have responded to Yashica's announcement with a lack of enthusiasm or outright criticism, with some of them pointing toward the company's lackluster Y35 camera it launched after raising more than $1m on Kickstarter. It remains unclear when Yashica plans to release its film, but all signs point toward photographers being generally uninterested. How bout a inexpensive hi def scalable film and inexpensive dry mix chemical pack and one time tank kit for negative dev? Whoever would sell a $20 kit with one 24-roll film, all the parts, including tank, chem packets and instructions would have ongoing film and chem pack sales (in mass volume; for less). You just add you film cam, flash or other light, and DSLR or other decent sensor cam. Gimp and family free (to you open) software too. See; if you don't get your inverted digitized negative file range expanded and looking great then you did it wrong. Once you get the hang of it then it's easily repeatable. Do it for *SOME* film and great fun; along with your massing regular digital works. It's the kinda thing you want to be able to do. And there's thousands of great 35mm film cams and stuff and owners are just waiting for someone to make it affordable and fun. Surely with a video showing you what you get and demonstrating how to simply do it (including finished samples links). Before you even buy it. Very useful for your old stored, developed long-ago negatives too! Eliminates the chore of the right chemicals, mix direction, rig parts to hold the film flat etc... But I suppose there is an optimal focal length for the sensor you have. But universal tube extensions (closer focus for your lenses) get any removable system going fast. Fixed lens cams work too; if clean enough sensor (with enough DR). A simple rail and knob could handle critical focus adjustments. Some film cleaning solution(mix) and a dust blower also. Tested for shot to shot (35mm frame) instant speed. No scanner wait! One trick is to set the WB on the orange part of the developed negative film (per type) first. That way inversion and by curve expansion (required of films compressed DR) and you see that film types color palette. Less to edit. I meant a high definition film that scans well (from your camera not scanner). Low grain high detail. But any color negative film will work. Yea, kinda sad that a good name is messed up with a "Kickstarter" plot (someone probably pocketed a few $$$) but a proper hybrid, a body that accepts film OR digital chip inserts might be interesting if done properly. Shoot full digital or film witjh digital back-up. I sent that suggestion to Kodak a few years back... As for grabbing the Yashica name, we could be looking at a new Cannon or Nikkon product soon as well and let's not leave out Fujeeca! My Yashica compact was the worst camera I ever owned, and that was back when it was supposed to be a reputable company. Perhaps these new film products are pre-fogged, so you don't know if it's the Yashica camera or Yashica film that's ruined all your shots. I'm still amazed anybody wants to re-live the irritation and limitations of using roll film. 1) no clue, no idea how-to handle a film SLR, the process, or how's it going to shoot a analogue film SLR. 3) very offensive post, "My Yashica compact was the worst camera I ever owned..."
4) No idea, no clue about the YASHICA brand, as it was before....and how good it was, and still is. enjoy your digital-whatever camera, old Yashica Gear still rules, but not for you, of course. ;) Perhaps you've bought just some cr@p, being sold under the Yashica name. 1) Before I owned a Yashica product, I already knew how to deal with an SLR, from being allowed to load my father's Pentax K1000. 2) My parents bought me (in the 1980s) a Yashica compact camera. The back was not light-tight, it fogged every film, the winding mechanism slipped, and the lens was not focused properly. It was a genuine Yashica product and it was CRAP. You'll guess by now that I am not a kiddie of the digital phone generation. 4) My only experience of the Yashica brand was that it produced appallingly bad compact cameras (see above). I later enjoyed using a properly made Olympus film SLR for many years... and it still works the last time I tired it about a year ago! You never specified which Yashica Camera was crap. But i don't care. ;) I do like my Yashica Gear. The K1000 is a spec'd down version of the Pentax MX, which was my 1st SLR, ever. Well, every brand does made melons from time to time. You can, you just need to pay the sharks their pound or two of flesh. "Note the visible gap between the film strip and the 35mm canister." And call me an idiot, but shouldn't these sprocket holes be on both sides of the film? Not on the leader, no. Ok, youre an idiot. The film leader is narrower than the rest of the film and has sprocket holes only on one side. 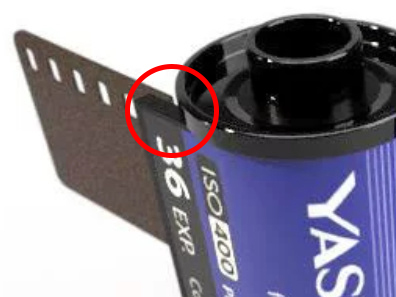 I've read that infamous news about the "YASHICA" 135 Film 2 days ago on the Net - after the horrible Y35, couldn't this ! "($&!/&$§ HK Firm lay YASHICA to rest? I do use, respect & love my Yashica gear since the late 80s, as well as Contax & Zeiss, but what we do have here, is really some Chinese Firm, which only bought the name-rights, and releasing mess after mess, under the once so famous, glorious YASHICA brand - it really hurts my eyes, to see this cr@p being released, under this brand name. Not everyone who purchases an old-great-name drives them into the ground. Look at Cosina and Voigtländer! Cosina isn't great by it's name, only for producing Zeiss Lenses as contract for Zeiss, and according to Zeiss Standards. ;) Voigtländer does have quite a history - and many good lenses, i do have 2-3 Lenses from the brand. After Y35, I find any subsequent announcements under this poorly resurrected brand name highly questionable. So what film did they rebrand this as? My guess it's Fujifilm's consumer ISO 200 film and they've just rated at 400 to make it seem more "retro". Guaranteed the hipsters in Brooklyn will eat this stuff up and then vomit out underexposed artsy photos onto instagram. I would say its Fuji too. Definitely pics look like it. This "film product," as you call it. What would it be used for? "On April 5, Yashica shared a gallery of photos taken by Kerry Jeffrey using the new Yashica 400 Negative film." All the images in the gallery are named "MysteryFilmNNN.jpg". I think someone's having a laugh! Kodak sold cameras, and also made film. So did Ilford, Agfa, Ferrania, Ansco, Gevaert. But Yashica? Nah. But they did make some very good middle-of-the-road 35mm cameras, and an extremely popular series of TLR's as well as some nice little 16mm sub-miniatures. Sadly, this company really stuck the knife into the brand with the Y35, such that they've made a once proud name a laughing stock. Your comparisons are foolish...this isn't the same Yashica as before. The name was subsequently sold and someone else is using it. pseudobreccia, you really need to reread guyfawkes post. His comparison is correct and his conclusion is the same as yours. Why does DPReview give attention to this fake brand with very poor results? This is yet another rebranded film, likely Kodak made in China, same as Lomography Color 400. Exactly. Re-branding isn't new, of course. In the day, 3M film appeared under many names, and often under the name of the high street processing chain. This was certainly so in the UK. But this didn't create an issue as the films were less expensive than the main brands. But today, the situation is different. I've seen cases of re-branded films costing up to 25% more than the original, just for the privilege of buying a different fancy box. But there were people who actually bought it. Go figure. Remember DPR is owned by a company that doesn't want to choose side. Hopefully unenlightened folks who might be fooled again (there were a LOT the first time) will read some of the comments here and not fall the game. They are here to honestly review, not pass judgement on stuff that might be (even when they know it never will). The target audience are those born after film tried hard to mimic film with PS, now they can save some time and get this crap ! btw my first SLR was the Yashica FX3 not too bad for beginner. I am hoping to see someone re-invent the Polaroid 35mm DIY development kit with improve quality at reasonable price. Born after film? Is film now a particular day on the calendar? Given the difference in treatment between the average Kickstarter's project and Yashica, I am inclined to believe that somebody at Dpreview had an affair with the daughter of Yashica new owner and it went wrong. Wow - Pretty poor marketing if you ask me. I did not see anything interesting in the color or tonality of that film that makes me want to use it over digital. I think it would be more honest if you said, “X releases Y under formerly-respected brand Z” rather than giving credit to the brand purchaser/destroyer. This truly is the best product Yashica has produced in decades! Actually 14 years this month if my memory is correct. Any plans to produce (super/double/standard) 8mm stock? people are quickly selling off their y35 to recoup their losses. "includes 4 films" 😅. with a name and recent track record quality from a company like this, I suggest we put as much money down for a kickstarter deposit. Sad seeing this company destroy the Yashica name. You mean GB Jebsen Group destroyed the Yashica name. DPR, it would be very helpful if, in the future, you could clearly identify any MF Jebsen venture in the article title. For example: "MF Jebsen Group announce Yashica branded 35mm film with bizarre, confusing teasers". The film and the canisters are a single piece of plastic. I decode the DX markings as something other than ASA/ISO 400 film. My gosh these guys are dumber than dirt. I sprocket holes look wrong too. Couldn't they go out and buy a role of something and stick it back into their containers? The canisters probably don't exist. Well at least it's color film while everyone else seems to do BW films. Tons of those around. On the other hand, it's color film. I'm guessing someone found an old shipping container full of 1990's stock and put new stickers on them. Will it produce crappy images and break like their digital camera?! Unless they plan to sell this for $0.50 a roll at harbor freight stores, I have a hard time believing anyone would fall for the Yashica gimmick again after they completely trashed their first attempt. From what I saw of the Y35 and it's image quality, I'm fairly certain it's a dressed up cousin of my 4 year old's V-Tech funcam. Jebsen Group made it clear they have no business selling photography equipment, but with the fake little "film" cartridges the Y35 is probably a fun children's toy. I'll stick with film from companies that are interested in making something worthwhile, not sneaking a few dollars out of people's wallets before they realize your scam. The Y35 was the first kick. I'll be interested to see who signs up for another dose of hoof therapy. The issue here is the company, not film photography. Hmm... So, you just woke up to the fact that film is still a viable medium. Congratulations! Now, have another look at the discussion at hand and you'll notice this isn't an issue about the legitimacy of film. ... just to clear-up the air... I was born into film and end up with SINAR 4x5 / 8x10 and "dream" darkroom... unfortunately I have slid into digital which did cost me arms&legs. Mistake? Sure enough, it was a mistake. And so I do NOT care #richdm who makes the film as long as the product is good. In same token #ailings I like to take an opportunity and stress out that 99% of these forums is a waste of time to look at since all of these photography "experts" are producing tons of rubbishy camera clicks which are stressful to look at... Hope I have explained my self adequately. "100 Enterprises is appointed as the Sole Global Representative Office by the respective worldwide sole owner of the brands and trademarks, namely, YASHICA, JNC, ...."
"Sole Global Representative", ha ha. I believe that's even higher-ranking than Grand High Exultant Mystic Ruler! Wasn't Yashica merged with Contax? No. The Yashica trademark belonged to Kyocera from their purchase of the Yashica company in 1983 until they sold the trademark in 2008 to a Hong Kong group. The Contax trademark belonged and still belongs to Carl Zeiss AG. Zeiss licenced it to Yashica, then Kyocera from 1972 to 2015. Did Contax have a Digital Medium Format Camera? You could put a Phase One digital back on a Contax 645 camera. The Contax cameras that were made by Kyocera were top notch, but an early example of using a famous name to sell somethng made by somebody else. They even went so far as to give their salespeople "Contax 50 Years" banners despite the fact that Contax cameras had been out of production for many of those years. Ironically, Kyocera had nothing to hide as they were on the cutting edge, so to speak, of ceramic knives and other cool ceramic stuff. Thank You! I guess that's what I remember. I've been looking through some old Pop Photo mags, but I haven't found any reference to it. There's not much for Contax on www.Wikipedia.org either. Maybe it's waiting for someone like you, to make an entry! I did see Kyocera (and that did sound familiar), but there wasn't anything about a merger like I thought I remembered. Yashica had many cheap feeling cameras, along with the few good ones like the TLR's, (ex 124G) and the Yashica Dental Eye II. (I think Nikon had a similar design, but I don't know which was first). Thank You very much, at least I can stop looking now! The wiki article on Yashica will give you a pretty could synopsis of the history of company, its partnership with Carl Zeiss and acquisition by Kyocera. Really not possible out side of Russia or China. So just dreaming but a bring us old school Kodachrome in 120 and 35mm and I would order hundreds of rolls asap. Kodachrome is more about a promise to keep up the infrastructure to process it. C41, E7, and esp. black and white neg are easier in that regard. It's the high cost of investing in developing equipment for Kodachrome that prevents it from being reborn. Not to mention the techs necessary to operate and maintain the lab. I doubt that there would be a large enough market to support a reasonable ROI. I have read that the developing process is pretty intensive and caustic so in today’s more eco friendly world not happening in the states anyway. GoodKnight, if they can turn urine back into drinking water up on the space station, it should be possible to either bind the chemicals into safe compounds for disposal or reclaim / reactivate them for recycling instead of flushing down the drain. Yes it might double the cost of processing, but what costs haven't doubled since the 90s anyway? There should be a law against buying a well respected trademark then ruining it. I remember the Electro 35 GSN, it had a very light, hollow feel to it. I wondered if it even had anything inside, but it did have an LED or two, right? It's funny how we remember things differently. The 35 GSN had a metal body and weighed around 700 grams. Which is heavier than a Nikon Z7. And yes.... back then all cameras were basically hollow boxes, leaving room for the film. I guess I was wrong! How was it to use? The lens must've been good right? They didn't expect people to know that the fake Yashica name they use have nothing to do with the real Yashica that no longer exist. They dropped that ball on the Y35. I suppose there may be a few dopes left, but at this point they really are starting from a ditch after the Y35. Lackluster indeed. Anyone old enough to remember Yashica with genuine fondness will not associate that name with film production. Anyone not old enough will have no attachment to Yashica at all, so they might as well call the film, Happy Hipster and be at least topical. The MF Jebsen Group would seem to be a vanity project for investors with too much cash but no real sense of the camera marketplace. There are SO many ways they could leverage the Yashica brand name to better effect. its probably just an old emulsion that they are rebranding. I doubt anyone is actually developing new emulsions these days from scratch. We have color negative film, we dont need more. We need to stuff we have to not go away. Unless we have heavy RnD, we wont be able to best emulsions that were developed in a time when film was king. If their film is as bad as their attempt at a camera, it will have a contrast range of 3:1 and grain the size of a football. Call it "not-Yashica"; please stop passing on this misleading reuse of a brand name with no connection to the original company and so not deserving any benefit from that company's reputation. Yashica, Polaroid, Kodak... there is nothing left there, just old names sold to whoever pays for them. Not entirely true. The films made by Kodak Alaris (Portra, Tmax, Tri-X, Ektar and so on) are very much high-quality 'genuine' Kodak products. in asia you can find "kodak" and "polaroid" optical lenses in eye wear shops. I knew it's just some company licensed to use their name but the actual lenses are chinese oem. Isn't this more news for the "preview" site? It's the Japanese version of a Kodak-branded product. This is a reverse engineered Vsco filter.